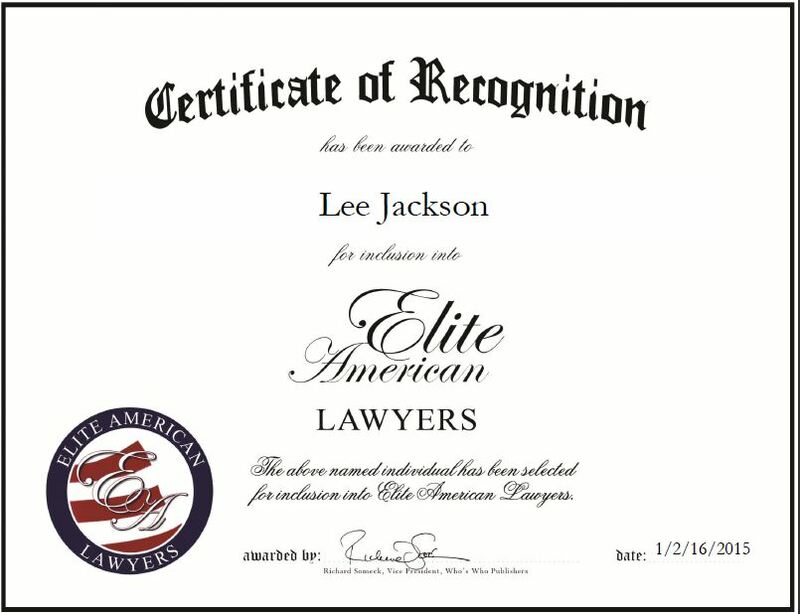 Santa Monica, CA, January 16, 2015, Lee Jackson, Partner at Milstein Adelman LLP, has been recognized by Elite American Lawyers for dedication, achievements and leadership in representing consumers. Mr. Jackson gained an interest in the legal field through his exposure to a high-profile case when he was a young boy. As a child, he remembers seeing Rudy Giuliani take on the Gotti family and it intrigued him. He wrote a letter to Giuliani and he actually wrote him back with encouraging words about studying hard. This inspiration has carried him over his 14-year career as a lawyer. Mr. Jackson has in-depth knowledge of various practice areas, including contracts, alternative dispute resolution, California’s Right to Repair Law also known as SB 800, and Arizona’s Purchaser and Dwelling Act. He excels at representing homeowners and homeowners associations, as well as practice construction defect law. As a partner at the firm, Mr. Jackson represents consumers, commercial building owners in California, Illinois and Arizona, and gives his clients individualized attention. He also mentors younger attorneys, and acts as a guest lecturer at Pepperdine University, where he received a JD. A highly regarded lawyer, Mr. Jackson has been recognized as one of California’s top attorneys and as one of the Top 100 Trial Attorneys in the country. He is also a member of California’s Super Lawyers. Looking toward the future, Mr. Jackson will continue to grow the firm. They recently opened an office in Arizona three years ago and are preparing to open an office in Denver and one in Illinois. As they continue to expand into new markets, they would like to remain at the forefront and help those in need of help from the legal system. This entry was posted in Commercial Litigation and tagged construction defect law, consumer representation, homeowners, lecturer. Bookmark the permalink.